Many of my sewing days have been replaced with harvesting days. 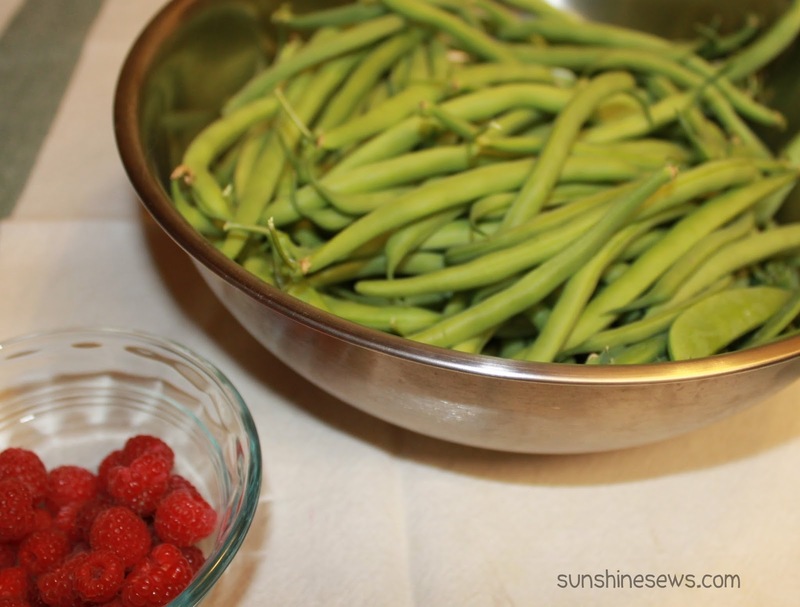 This week I am lucky enough to be picking a large bowl of green beans and peas every-single-day. I love it. The raspberries have also been plentiful over the last few weeks so I've been freezing them as soon as I pick and clean them. By fall I will have enough to make a batch of jam. Yay! I tried growing kohlrabi this year and the results are fantastic. I have six very large vegetables ready to be picked. They are my husband's favorite so he will be happy to find them sliced up and ready for snacking tomorrow. But for today, we will be roasting green beans on the grill with our dinner tonight.